Thought leadership enables your company to become real people, with real faces, talking to real customers. The world is a busy place – our media, the internet, our social platforms, the business market place – all are hyper-saturated. So how do you stand out and ultimately grow your business? Many brands resort to shouting the loudest – a crazy stunt, a big acquisition story, a profile piece or the posting of each quarter’s profits. All of these are valid approaches, but there’s one approach which is hugely beneficial, but not always done well (if at all) – thought leadership. Beneficial in both B2B and B2C environments, thought leadership is a powerful way to build profile and brand; using great content to effectively position your business as the go-to provider of expertise. It enables clients and influencers (e.g. media) to identify you as a leader in that field and brings prospects direct to you. 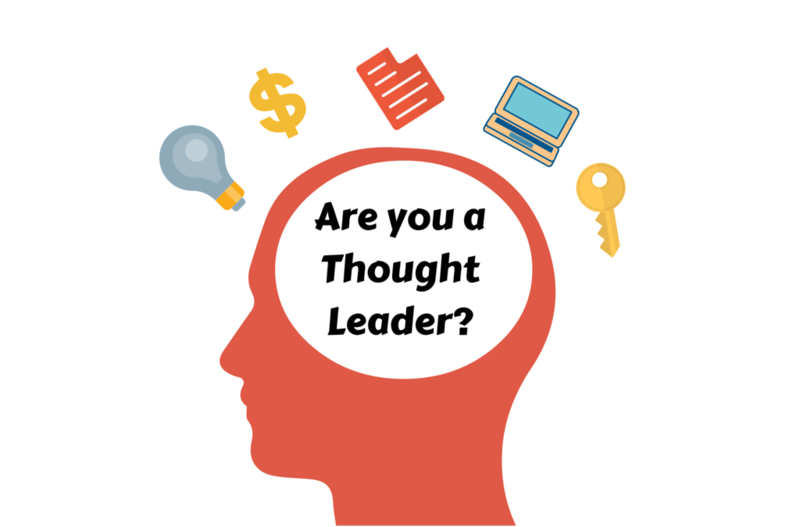 With so much other content out there, how do you make your thoughts stand out? The first and most important factor here is great content. Anybody can publish anything; only by delivering meaningful, useful and informative content is attaining the position of a thought leader possible. To each of these questions you will have more than one answer. Decide which of the answers are important to meeting your business’ goals and objectives (don’t worry, you’ll be left with more than one) – and which ones you have the talents and resources to answer. Before you create your content, think about where it’s going to be placed. Different audiences, on different channels, consume content differently. If no one sees your content, that content is ineffectual. Do they want an infographic, a video or a whitepaper – do you need a different format for website and for social? It isn’t just about one approach. For content to be truly effective, you need to have a multi-platform, multi-discipline approach. Building good relationships with journalists at key titles gives access to your content to targeted audiences . This can be a one-off article like this dividend piece for ContractorUK, or it could be a regular article – such as a health advice column, syndicated across regional print titles. However, thought leadership pieces don’t just need to live on externally published titles. Your social media channels are essentially your own publishing platforms, enabling you to broadcast your own content and drive traffic back to your website. Publishing on your own website isn’t your only option, either. There are now various platforms where you can publish your own content for others to read – taking the content to the audience, in other words. Take LinkedIn for example – as well as being able to publicise your company through pages and groups, you can now publish posts to LinkedIn Pulse. So if you’ve already published a blog on your website, you could also get the author to post it directly to LinkedIn. Essentially, thought leadership is one strand of a PR and content strategy – it develops your people and your brand as leaders in your sector. Your company becomes real people, with real faces, talking to real customers. Your audience is looking for help – are you willing and able to give it to them? The New Day, Trinity Mirror’s new national newspaper, launches across the UK today (you can still pick up a free copy if you hurry). To mark the launch, we’ve picked out 10 need-to-know facts about the new 40 page, Monday-to-Friday title.